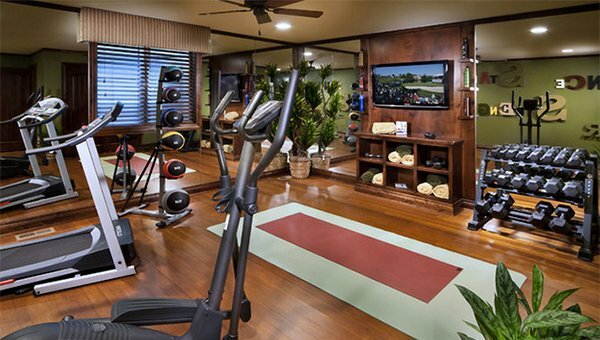 Not all homes have their own home gym but health conscious individuals have them. Some would allocate a certain room for it but others just combine it with the living room. There are different equipment needed in order to work out and it is important that it is placed well in a certain area. 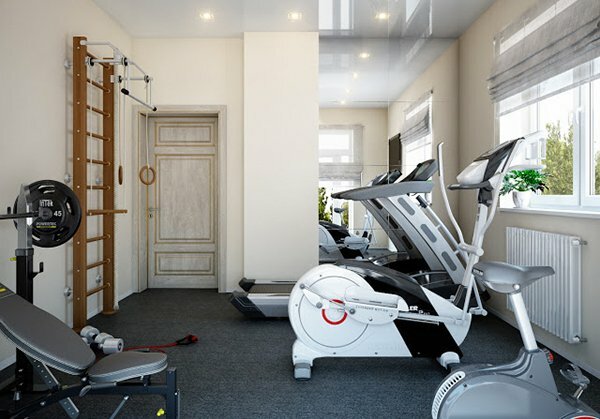 Hence, once you decide to have a home gym, make sure you have a space allocated for it even just in the living area. Home gyms are best if you want to get fit and would save you from gym fees and from frequent travels to the gym. You will also be able to do your thing anytime you want to without taking a huge chunk from your schedule. 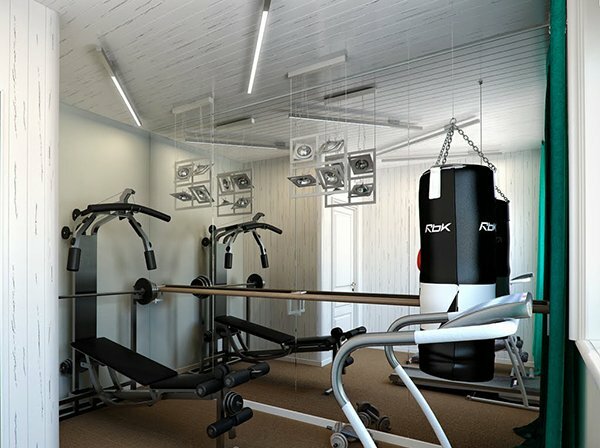 A home gym, being part of a house interior also needs attention if we speak of design. 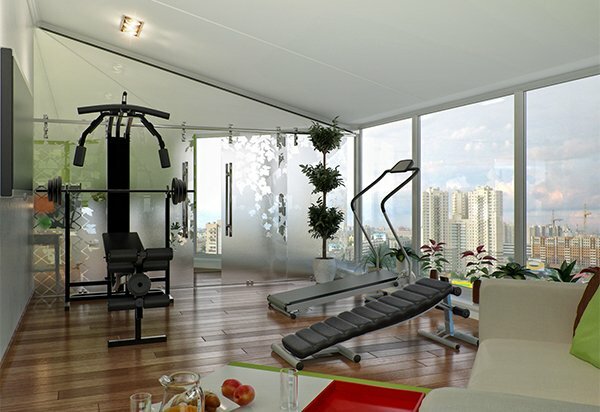 Hence, we will be showing you 15 home gyms that would give you ideas on how to design your own gym. 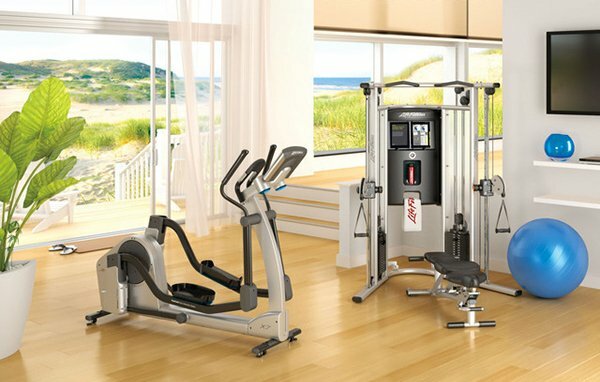 This home gym has enough room for all of these equipment and you’ll certainly get fit if you work out regularly. 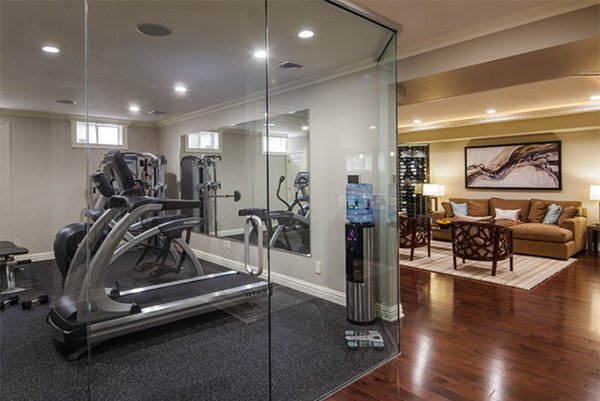 Glass all around this home gym makes your workout a lot healthier and more relaxing too. Like the previous picture, this one also has glass all around but it has blinds to control the sunlight’s entry. A traditional home gym but is equipped with up to date gym equipment. This could be a small area but it can accommodate all these things that are needed for a home gym. Isn’t this a good idea? Instead of having a closed room, a glassed area would be more airy. Look at this home gym! It is indeed huge! We suppose there are many dwellers in this house. The design is also good especially with the white color and contrasting black rug. 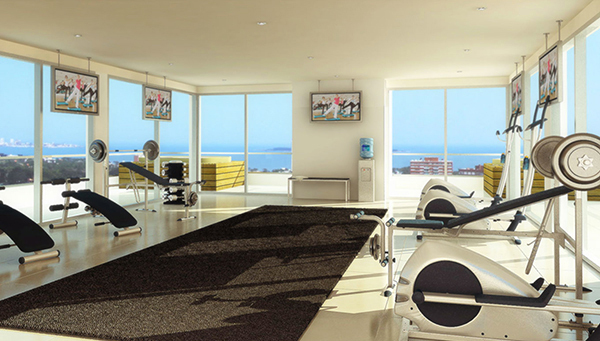 This is one example of a gym and living room in one. Looking this right? The wooden flooring and printed glass gave it appeal. 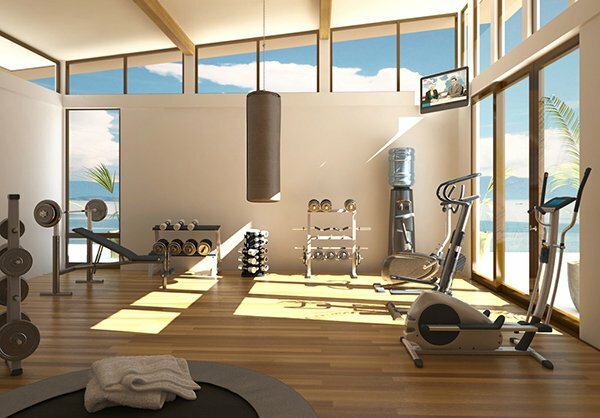 Wooden walls and flooring are used for this gym area and yes, it has a great view of the sea too! Let’s get physical! 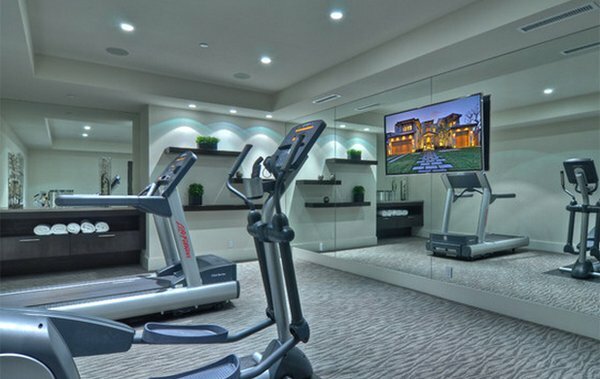 You would love to work out in a home gym like this one with a huge mirror and soft gray carpet. The wooden flooring is love! It created a very nice ambiance to this home gym. Check out the colors in this home gym. The yellows, greens and grays look great. The mural especially added beauty to the area. 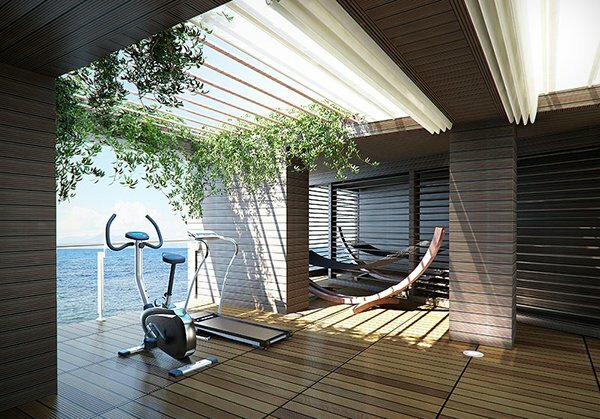 We so love this home gym! Look at all the colors in it! So lively and funky! 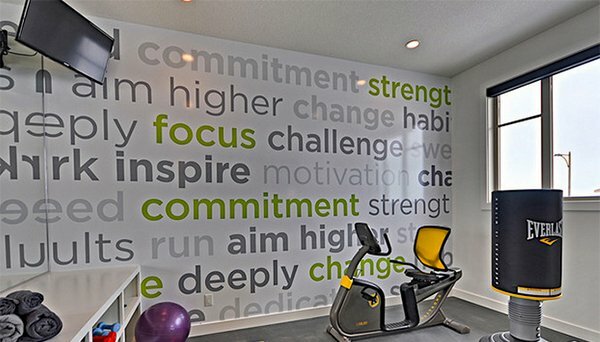 The wall mural seems like a reminder to the user to stay fit. 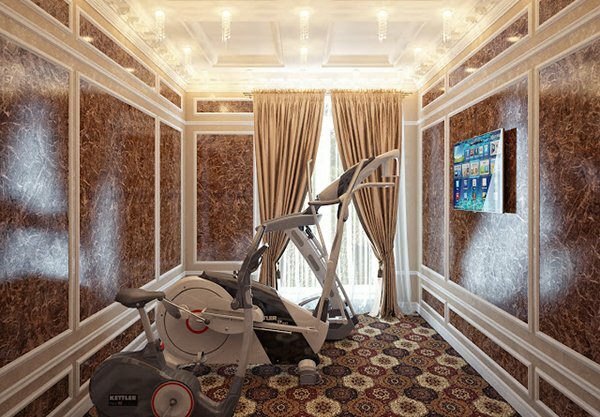 A classical beauty with modern gym equipment inside it. Why not? 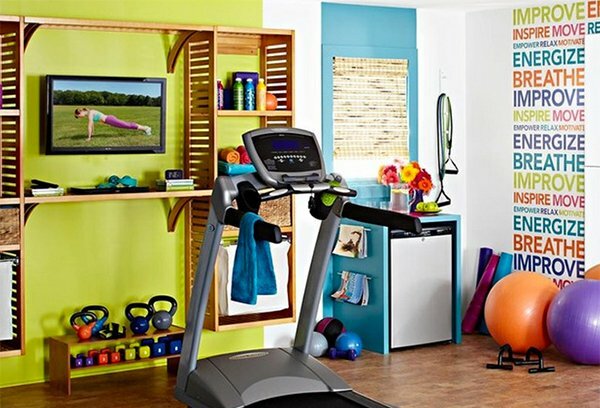 A home gym that looks just right but the color of the walls added life to it. 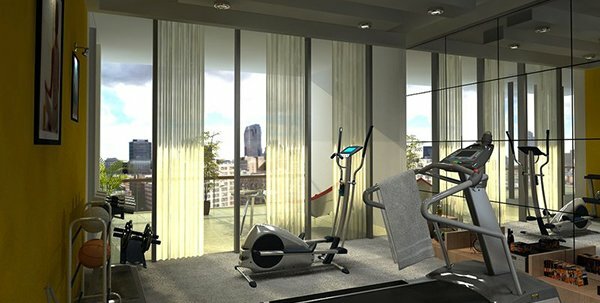 The home gyms that you have seen were certainly designed well. One would surely be able to have a good time getting fit in his own homes. You can even add some personal touches in it. Choose colors that you love and add some other decorations as source of inspiration. Other than the home gym, you can also get fit by using a lap pool. So, if you have both, you’ll end up healthy and happy in your own home!